Gandhi also cleared appointment of Nana Patole as chairman of Kisan Khet Mazdoor Congress, with immediate effect. 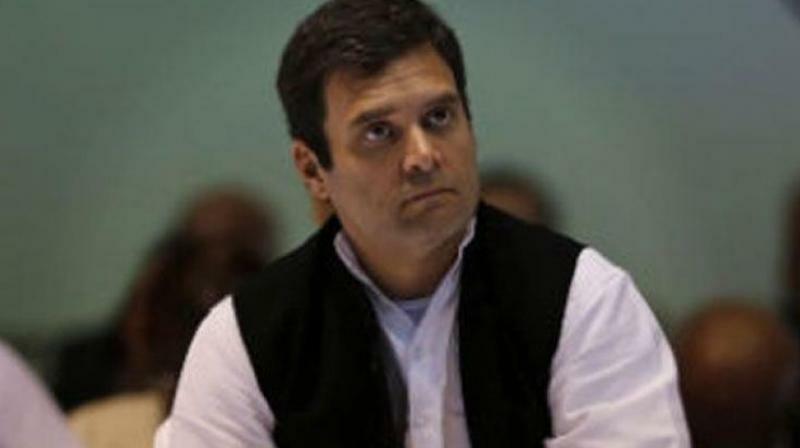 New Delhi: Congress president Rahul Gandhi on Friday cleared the appointment of nine new AICC secretaries and a screening committee for poll-bound Telangana. Gandhi also cleared the appointment of Nana Patole, a former MP, as chairman of the Kisan Khet Mazdoor (farmers-farm labourers) Congress, with immediate effect, a statement from AICC general secretary Ashok Gehlot said. He hails from Maharashtra and had resigned from the BJP and joined the Congress earlier this year. Bhupen Kumar Borah, who hails from Assam, has been appointed AICC Secretary and assigned the state of Tripura while Sudhir Sharma from Himachal Pradesh has been assigned Jammu and Kashmir. Sirivella Prasad from Andhra Pradesh has been made Secretary for Tamil Nadu. Besides, Lalit Mehra was made the chairman of the research department for Rajasthan, B S Shiju for Kerala PCC and Ulhas Parab for Goa PCC and Idris Gandhi as chairman of the research department for Chhattisgarh PCC.